We are back and we love it. Our time share condo awaits us. 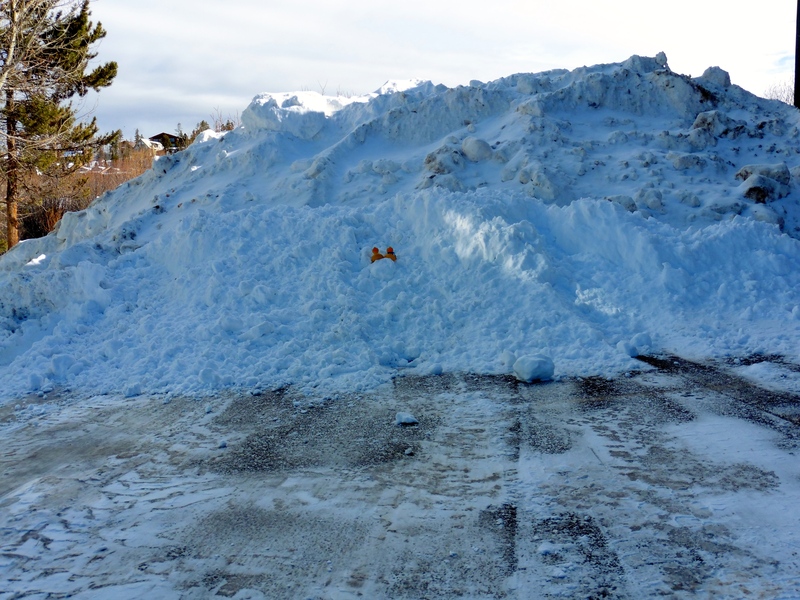 Huge piles of snow here this winter. 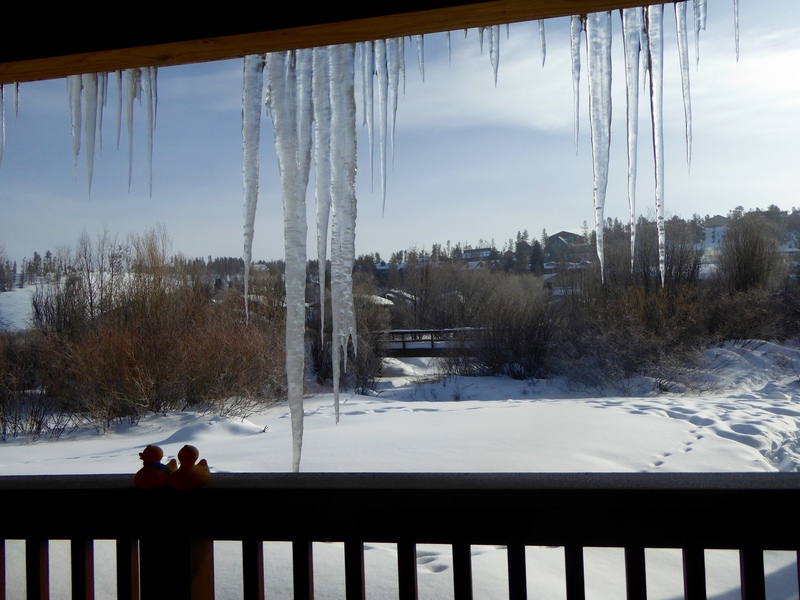 From our deck, through really long icicles, we view the partially frozen Fraser River. Many winter activities are planned. However after the first one, more about that next time, daytime temperatures did not get above the mid teens, or -10C. Our human moms did not like the cold. They did not enjoy the wind blowing from the mountain peaks over the fresh snow, attacking their skin. Actually, we ducks did not like being cold either. Much of our time was inside admiring the sparkling now on the mountain peaks, and enjoying the fireplace. Occasional short walks with Stevie, Soapy Smith Duck’s black lab reminded us we don’t have fun shivering. One evening we went bowling. It was a lot of fun. Soapy Smith Duck, and I, Zeb the Duck, can verify that our humans had not bowled for a long time. The scores, low and rather embarrassing. Gutter balls, too often. Strikes, a few, but too few. Laughter and smiles were there, also. Poor performances but a great deal of fun for everyone. 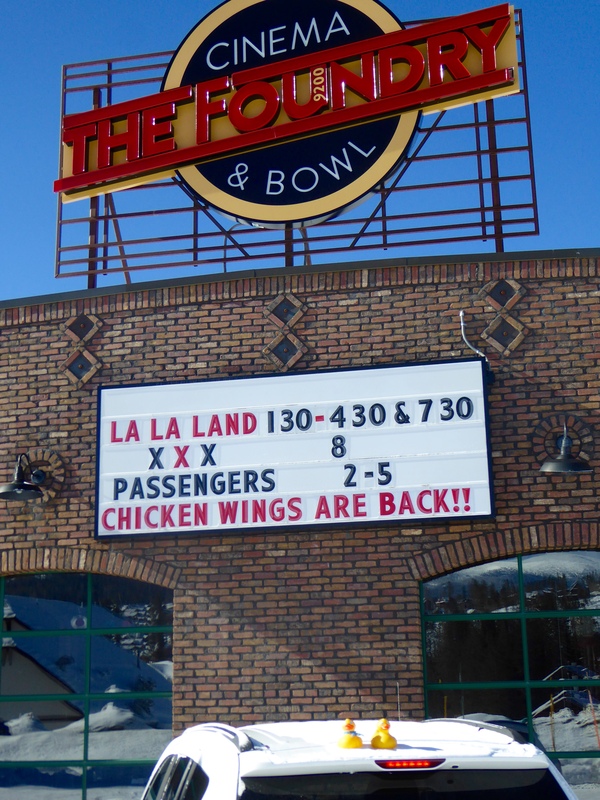 The movie theater, located in the same building, sold popcorn. We bought some on the way out and were surprised to also see buckets of caramel corn. We returned to the condo with a bucket of each kind. A couple colder days, our only trips were to great restaurants. Winter Park and Fraser have so many. 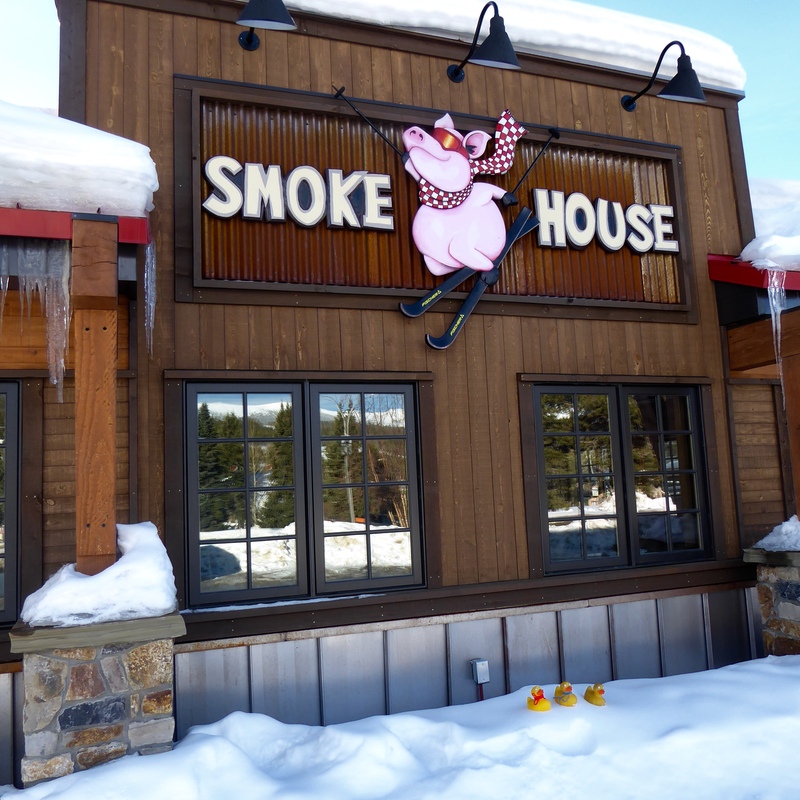 We’re returning to the Smokehouse. 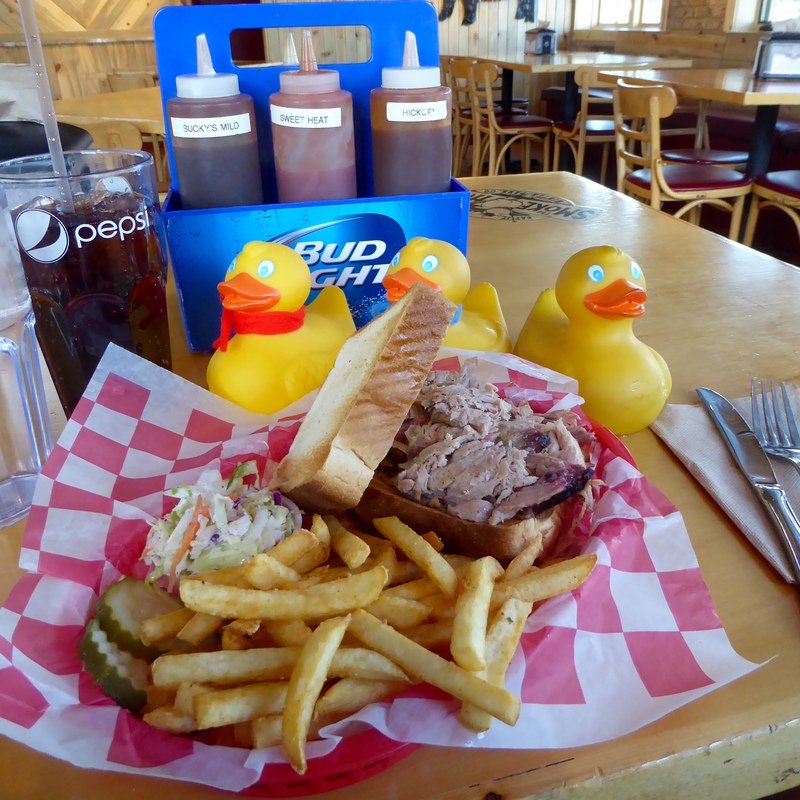 One human enjoyed pulled pork. Bucky’s mild sauce always tops her sandwich. Other humans enjoyed various sandwiches. 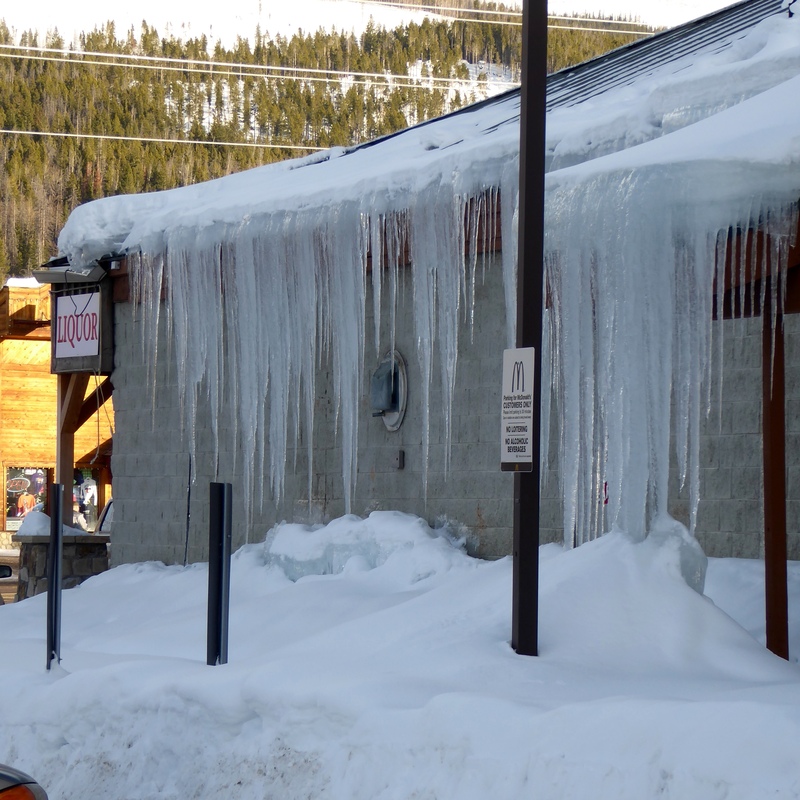 Nearby, where humans do not walk, these icicles impressed us. The roof is rather clear, but so many icicles. 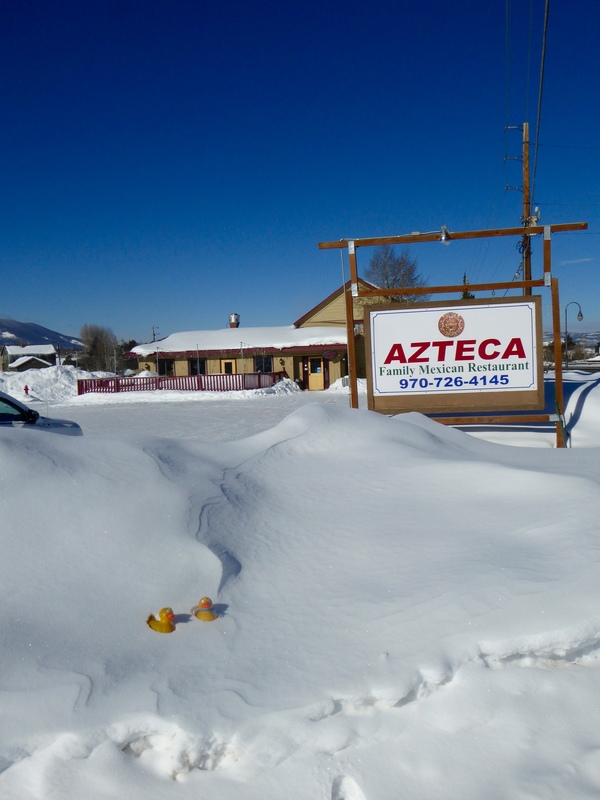 One day we enjoyed Mexican food at Azteca. Another evening flavorful, fresh seafood was our choice. 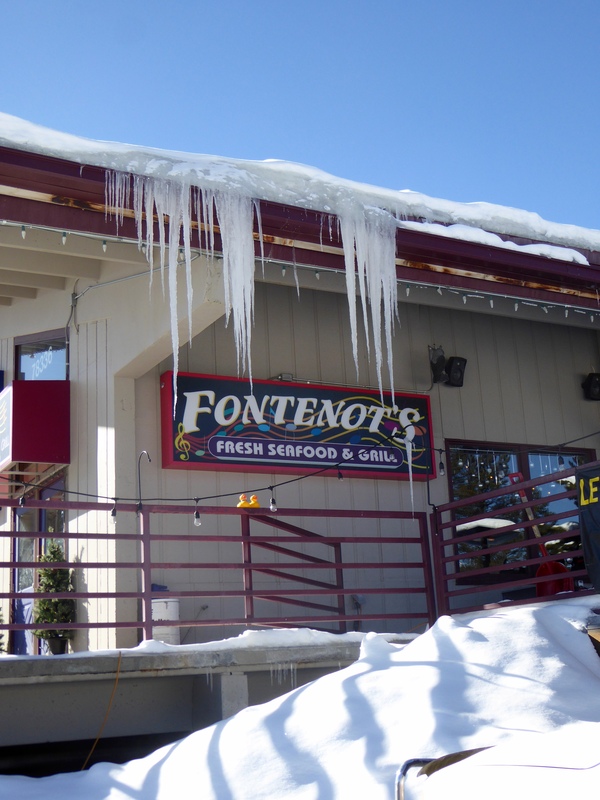 Fontenot’s has great food and pretty great icicles also. 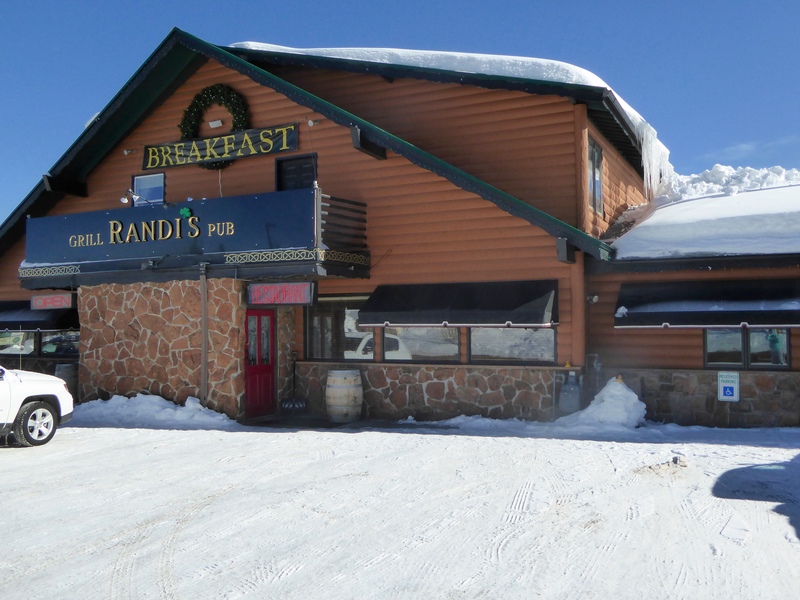 Another favorite, Randi’s, prepares mom’s favorite broiled trout with almonds. We return here every year. Then our moms ordered these desserts. 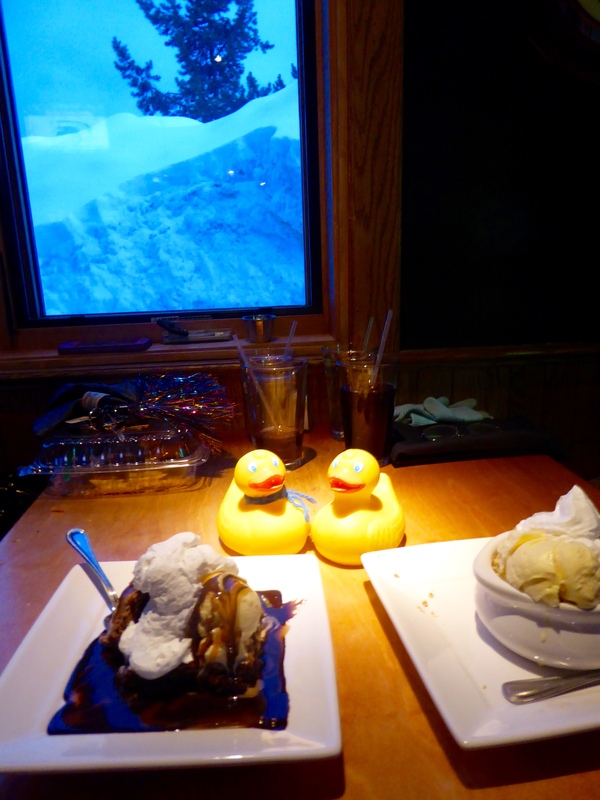 Behind the desserts, that is a window and real snow piled in the parking area. With so much snow, roofs of buildings need to be cleared. The weight of the snow can cause roof damage, or even roofs may collapse. Also, falling ice and snow can seriously injure anyone on the ground. 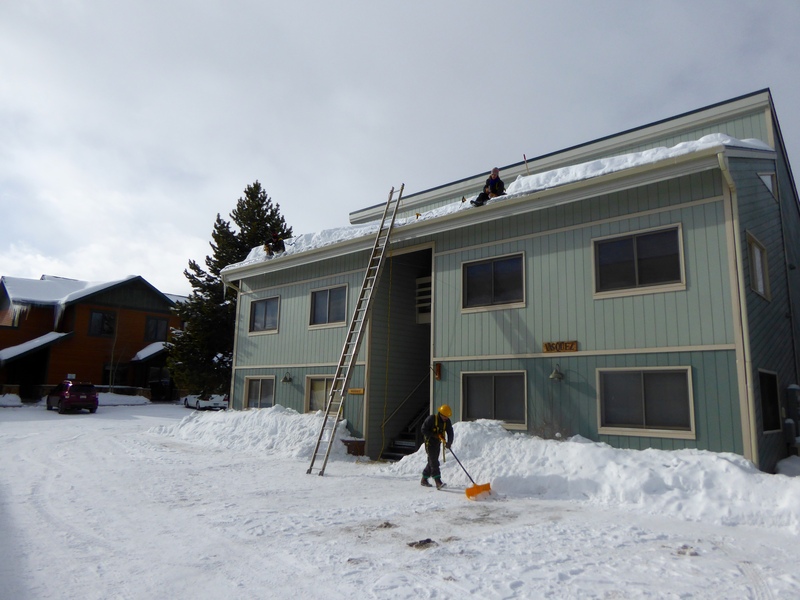 At our condo, men clear the roof using electric tools. This tool, similar to a chisel breaks ice. Other tools, if necessary, are used to remove snow and the underlying ice. 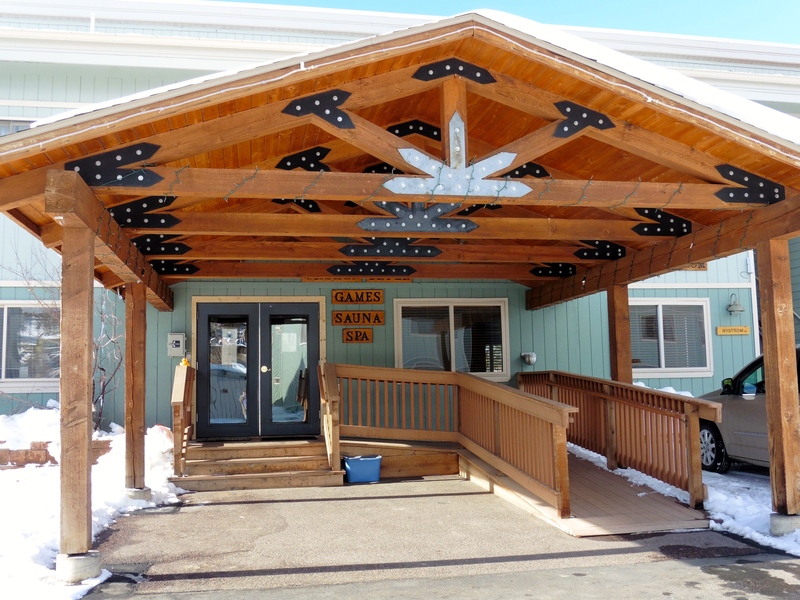 During this cold spell, we ducks and humans were often seen walking to this building. 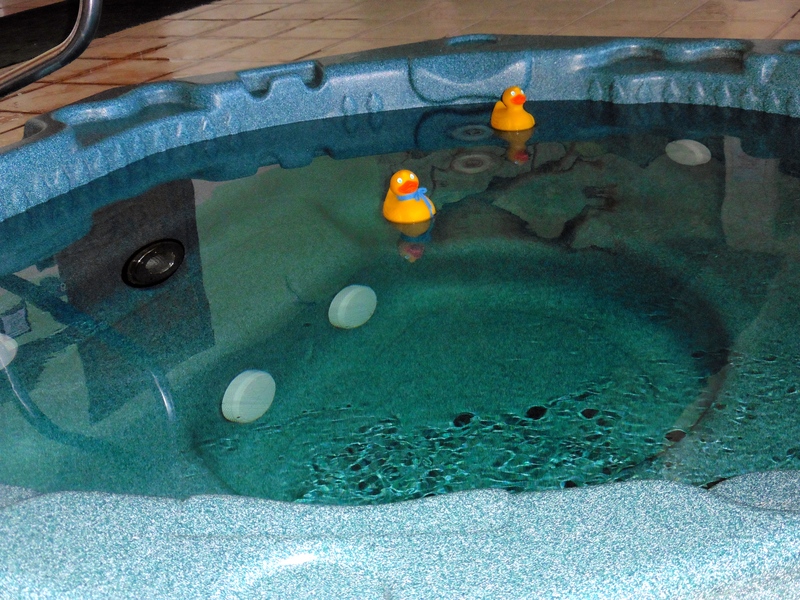 Inside the hot tub was hot. 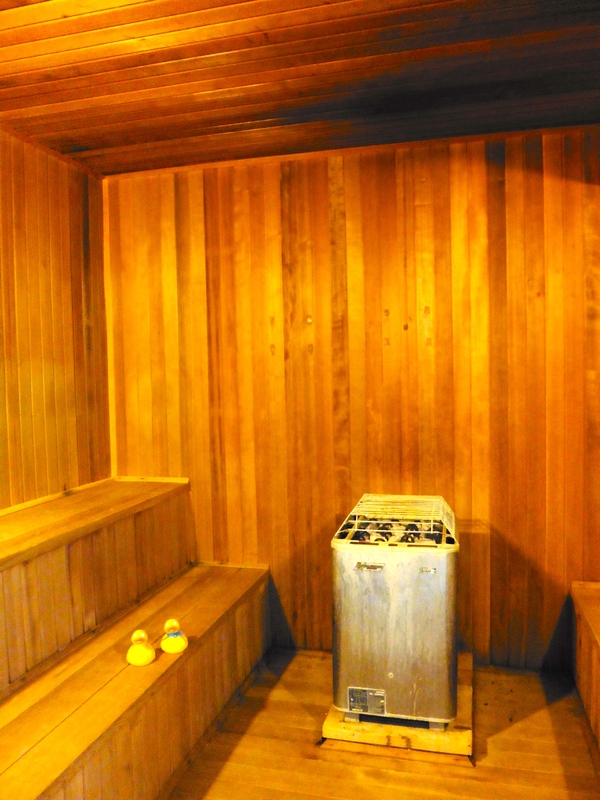 The sauna was also hot. So warm and relaxing. The morning we left Winter Park, it was a couple degrees below 0, or about -20C. These are not unusual temperatures, but even with warm winter clothing, we did not enjoy going outdoors often. The next week temperatures were around freezing during the day. Perhaps we will go back for a day to enjoy some of the winter activities we missed. Maybe. This entry was posted in Colorado, Uncategorized and tagged Colorado, Colorado Traveling Ducks, icicles, Winter Park. Bookmark the permalink.